Today your family is growing. Maybe this is your first baby and you are a little nervous, a little excited and everything in between. Maybe this is your second, third or fourth baby and you know how life-changing the addition of a new baby can be - how quickly time will go, how much baby's face will change in only a few hours, and how much you will want to look back on these moments and slow time down. Maybe you are imagining yourself sitting down with her and showing her a photo book filled with images and telling her how she was danced into the world as Mom moved through labour, of the look of joy on your faces when you saw her for the first time, of her first cry, of the first time she grasped your finger. Maybe you are imagining telling her all about the first day of her life story. Today you can't get your baby's finger in the mitt thumb-hole and he refuses to wear a hat. The laundry pile is growing on the couch. There's food on the floor, dirty dishes in the sink and you can't find your keys. There's laughter, there are tears, there are moments when it is all so awesome it takes over your heart and you just want to stay in that moment, slow down, cherish it, rest in it and just breathe. Maybe you are imagining yourself going through an heirloom box of beautiful prints and telling him how he used to reach out and play with your chin when he was feeding, how she used to run her fingers through her hair, how he gave you a full dental exam. Maybe you hear yourself telling her how she used to lean into your chest when you wrapped her in her wooly wrap, how he gently smushed his cheek into your shoulders while you carried him on your back. Over the last four years, my photography has centred on the relationships that create families. Based out of the Ottawa Gatineau area, my style honours real life so that you can remain true to the moment and I can capture the beautiful connections between you and the people you love. Every birth story, the fuzzy chaos of the early days with a newborn, the mess in the kitchen and the mismatched booties on your baby's feet is the setting for beautiful moments and that is what I'm inspired to photograph. I believe photography celebrates connections, builds community and sparks important conversations. 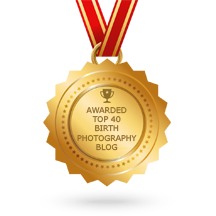 I will provide you with images so that one day when your child asks you about the day he was born and those early family years, you will have the photos to tell the stories over and over again.